Dumfries & Galloway Council / Mark Geddes, all rights reserved. 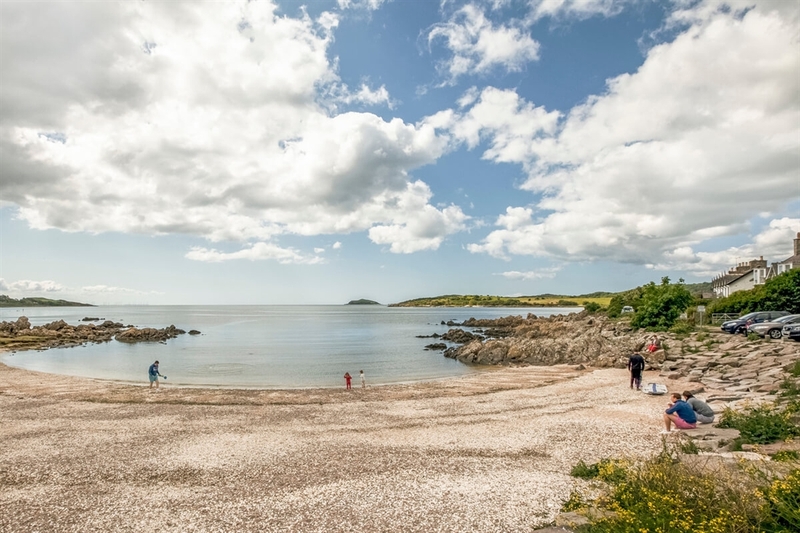 The small sandy Rockcliffe beach with rocks is set in the picturesque village of Rockcliffe near Dalbeattie. The beach is a great area for walks and attracts many visitors every year. With several marked routes and many places of interest, it makes for a lovely day out destination. Depending on the state of the tide, the sea can be within a few yards of the sloping wall beside the road at high tide or, on the other hand, when the tide is low the nearest open water can be the better part of a mile away, beyond the beaches and the craggy rocks that punctuate them, beyond Rough Island. Rough Island, a nature sanctuary, can be reached by a tidal causeway. It is recommended however to allow plenty of time to return from the island without being caught by the tide. Please be advised that between the month of May and June the island is off limits due to breeding birds. Dumfries & Galloway Council / Mark Geddes, all rights reserved. Small figures walk along the shore front, around the broad sweep of Rockcliffe beach. Dumfries & Galloway Council / Mark Geddes, all rights reserved. Small figures walk along the shore front, around the broad sweep of Rockcliffe beach. Dumfries & Galloway Council / Mark Geddes, all rights reserved. 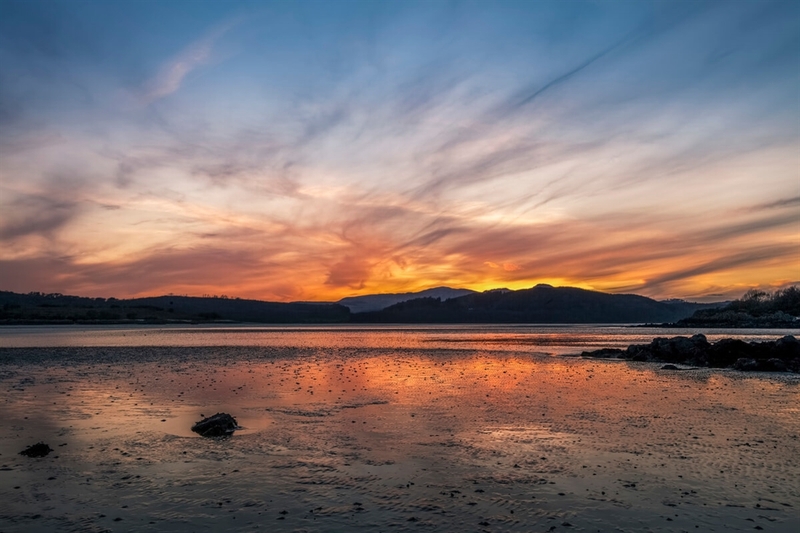 The tide is out in Rockcliffe bay, with a stunning sunset over beyond the hills silhouetted across the water on the horizon.